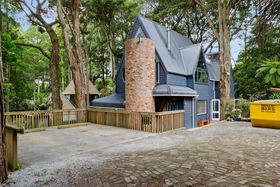 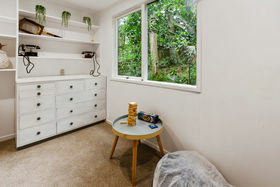 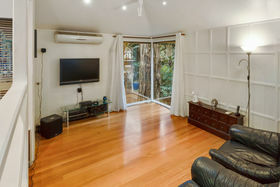 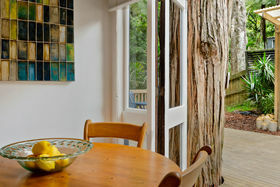 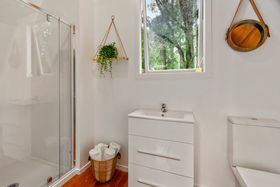 A truly unique family home surrounded by bush, filled with bird life and colour. 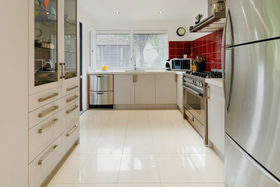 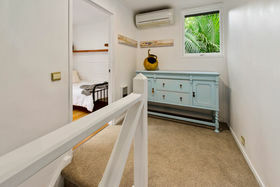 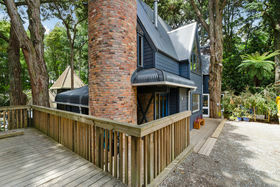 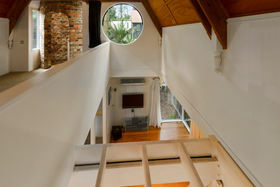 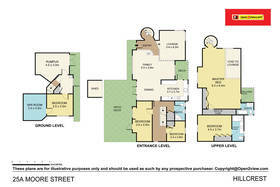 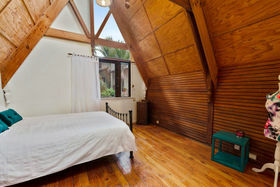 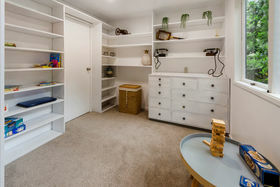 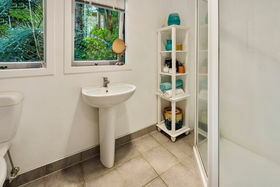 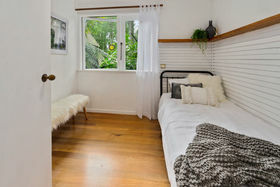 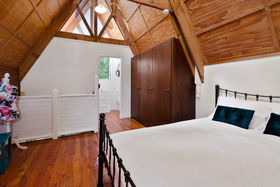 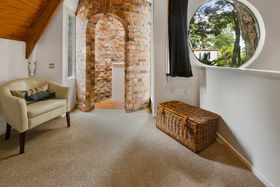 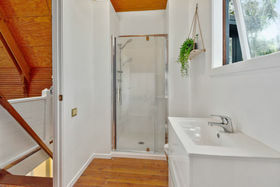 This quirky architecturally designed fabulous home, offers diverse living options - 2 main bedrooms at either end of the home with ensuites, separate living areas and entry, good carparking, peaceful and private, but also functional and spacious - a host of living options to suit extended families, 2 couples, even Air BnB or student stays. 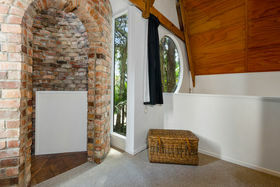 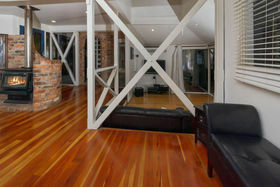 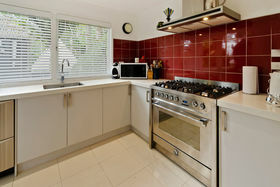 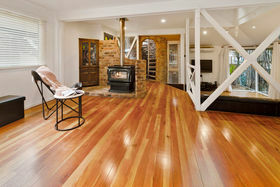 Character brick, timber floors- but also a modern and well set out kitchen, spiral staircase, circular window, extra decks, gorgeous wood burner set in a brick surround- also a heat pump, this house merges modern with tried and true, form with function, is immersed in nature yet in a handy and highly desirable central North Shore location. 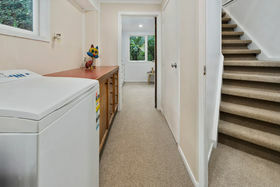 The photo's show only a portion of whats on offer. 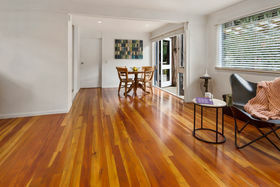 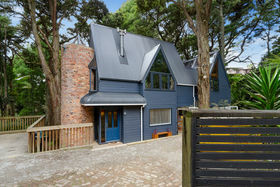 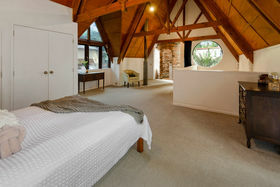 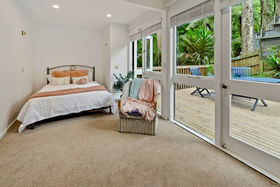 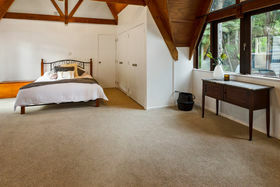 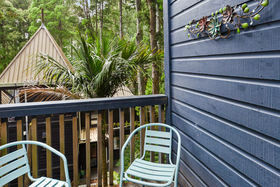 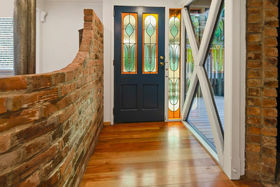 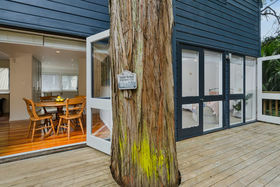 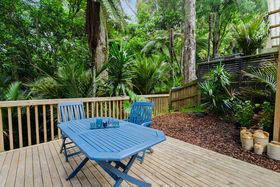 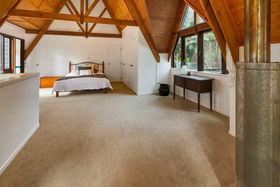 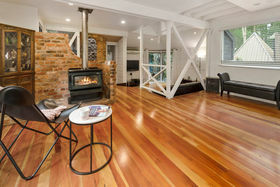 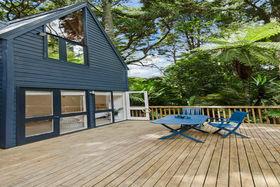 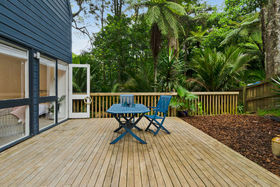 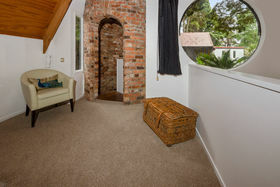 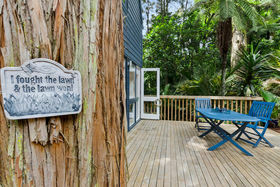 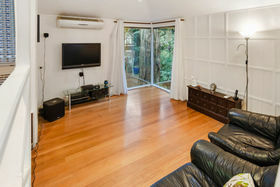 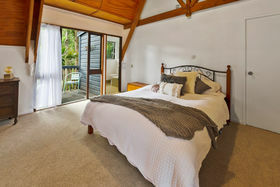 This lovely property is beautifully presented, and the tuis are waiting to serenade the lucky new owner.